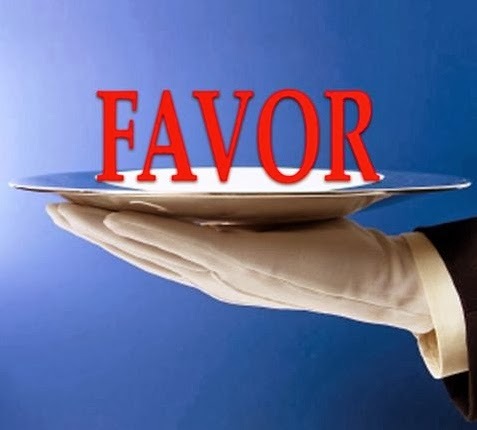 Could You Use Some Favor? Imagine that today each and every one of your steps was invincible. Every conversation you had tilted in your favor. Every business deal that you negotiated ended up more favor-able for you. Sounds like a great day, even if it is just Thursday! There are certain fundamental truths in scripture that apply to our lives whether we acknowledge it or not. One such truth is that living with and for God provides protection. You are surrounded with favor...like a shield. Favor is that thing which occurs causing everything to somehow go your way and turn out for your benefit. Even the bad stuff can be redirected. Romans 8:28 tells us that ALL things work together for good. But there is a condition. You must love God. 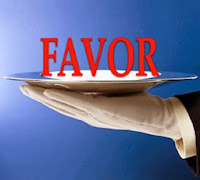 Loving God puts you in an arena where you are able to receive favor thus making you favor-able. Why don't you smile this morning and face the world head on with the knowledge that God is orchestrating all of the events to provide for you a day filled with favor. When you recognize it, thank Him for it and keep smiling.